Replacement filter is a Fram PH8A or equivalent. 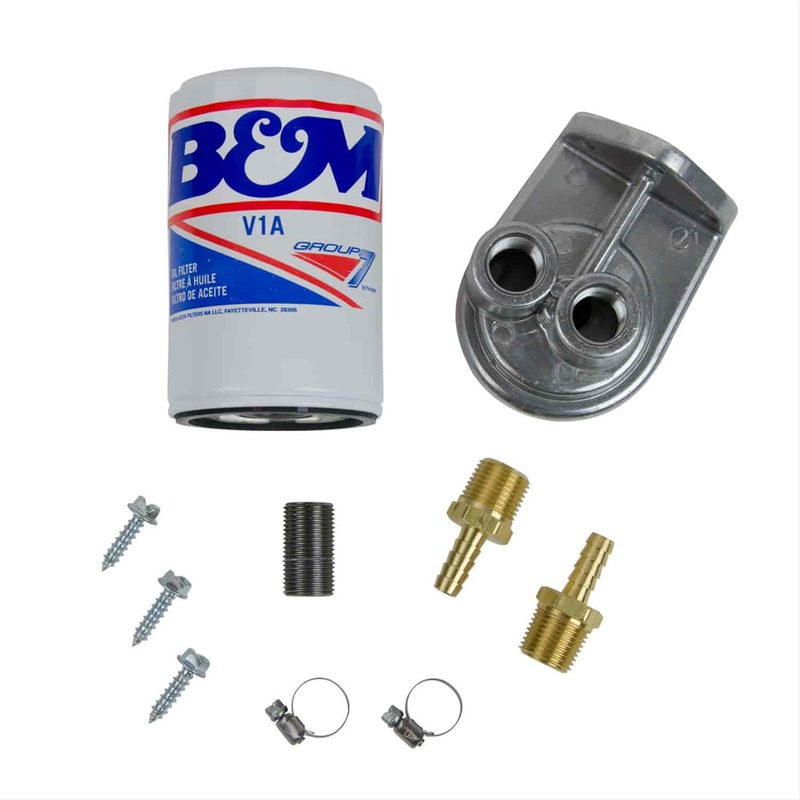 B&M's Remote Transmission Filter Kit is designed to extend the life of your transmission by filtering out contaminants from entering the valve body or other internal components. This filter kit protects your transmission by increasing the transmission fluid capacity, for cooler transmission running temperatures. Increases Filtration Efficiency 2 to 5-Fold. Easily Mounts on Firewall or Fenderwell. What is the micron rating ?